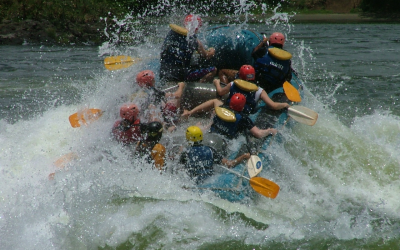 Extreme sports, amazing people and a truly awe-inspiring location for your adventure in Nepal. Mountain views, festivals and culture. Stand out work experience that will set you apart from the graduate crowd. Seeing the world differently and making a difference to young lives. Asian adventures – Wildlife, sightseeing, mountain climbing, paragliding and more! An experience that will change your life forever in more ways than you can imagine. 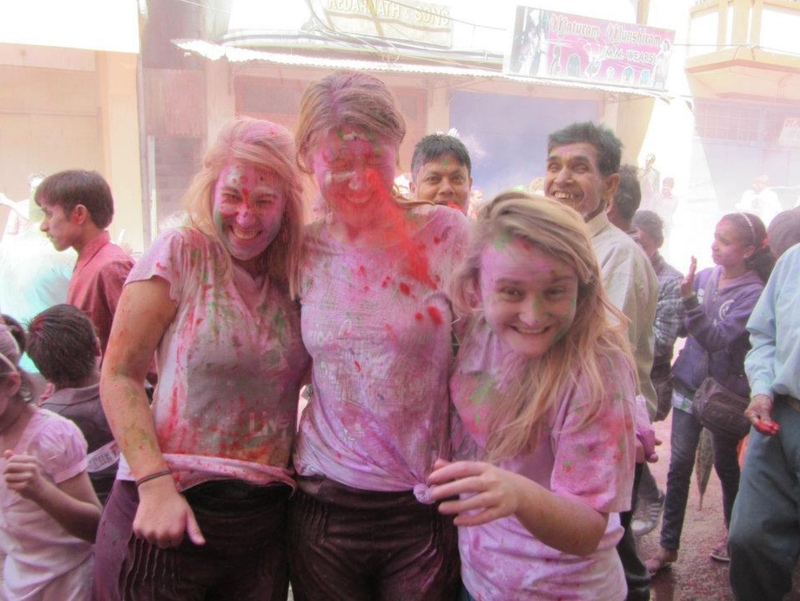 Want to know more about a Gap Year in Nepal? You can travel for as long as you like, whenever you like but our next group program departs on 3rd January 2020. You can stay for anywhere between 2-16 weeks depending on your plans. We also offer group discounts if you wish to travel with your friends. Can’t wait that long? Check out our Thailand Gap Year program, departing soon. What can you do in Nepal? Soar above the clouds and see the breathtaking landscape from a different point of view. 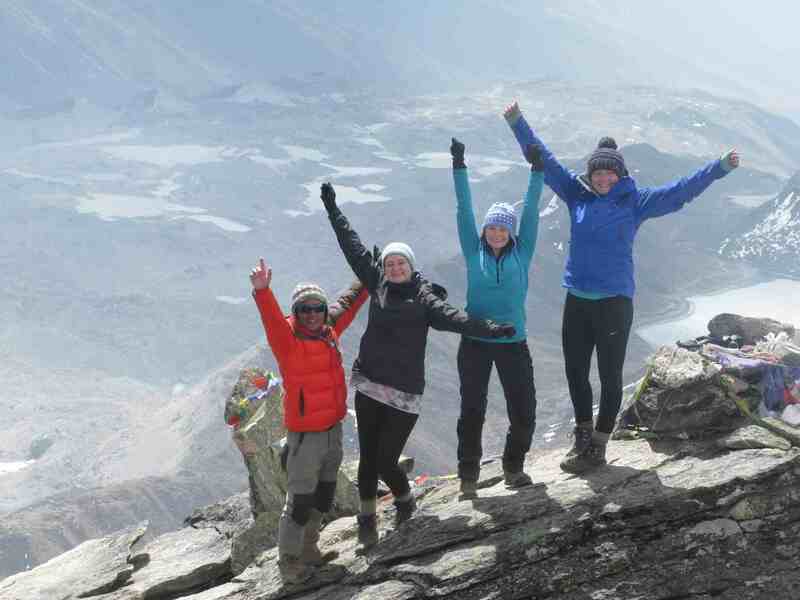 Climb to the Mount Everest base camp on an adventure of a lifetime or trek to Annapurna. Get involved in the local events including Holi festival – prepare to get messy! 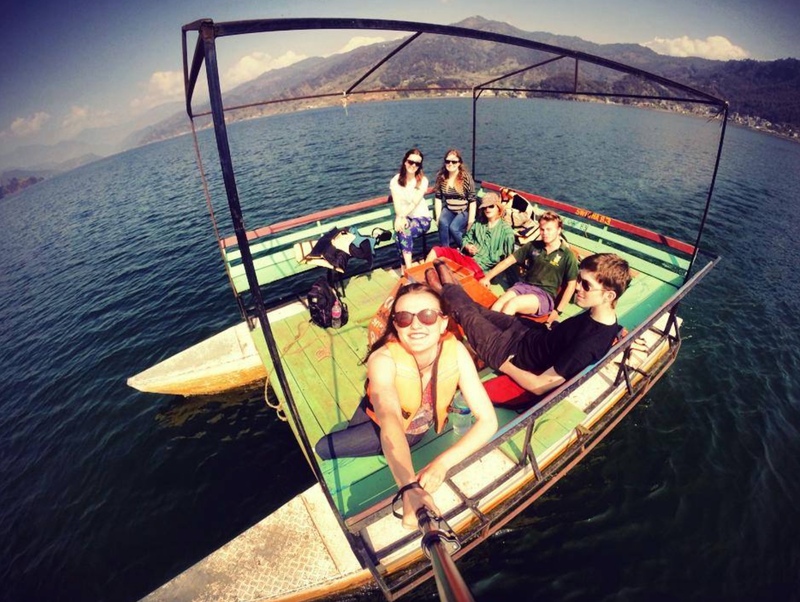 Visit Lake Phewa for amazing watersports including kayaking, rafting and paddle boarding. Where there’s adventure and excitement but also where you find your second home. Where you don’t just look at the scenery, you become part of the community. It’s a different way to see the world. Share your skills with the community and make a lasting difference. Go wherever you want after your project. We're here to support you. Experience a new culture and way of life by being part of it. Dates: You can go for as long as you like, whenever you like! 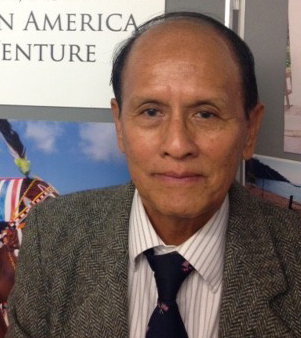 You will fly into Kathmandu, where you will be met by our Nepal AV representative. That night you will stay in a small hotel in Thamel, Nepal’s backpacker HQ and we will visit the Rum Doodle, a local bar frequented by those who have climbed Everest. The following day you will visit Kathmandu: the Pashupatinath Temple, the Boudanath Stupa and the ancient city of Pathan. The following day we will travel up into the hills for the orientation course. After the course we will take you and your partner to your new home in Syangja. 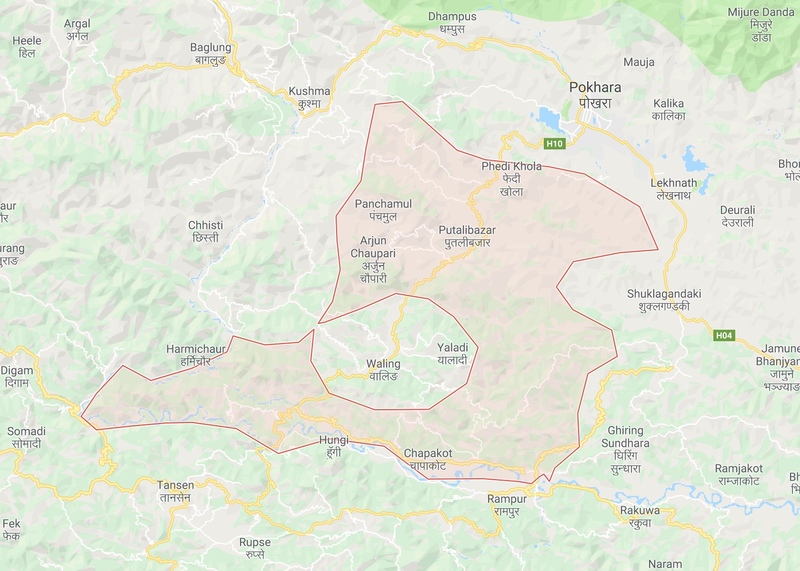 To get there involves about a 7 hour bus journey westwards from the Kathmandu Valley along the winding main road towards Pokhara and then up side roads to Syangja, with snow clad mountains on the flanks. Once there the AV representative will leave you to settle into your new home, but remember they’re never more than a phone call away if you need them. After a warm welcome from the local school, usually with a few flowers or garlands, you will quickly settle into the local way of life and develop a routine, although rarely will two days be the same! Each morning you will walk to the nearby school in time for the start of the day at around 9.00am – be warned that you are living in rural areas and that, in one or two cases, there is a small hill to climb to get there! If you have chosen to spend some time in the classroom helping with English then you can work alone, with your fellow AV partner or alongside a Nepali teacher. Most schools we work with are secondary schools where the English is of a basic standard but are in need of help with conversational English. You may find you would prefer to run smaller or one-to-one sessions with those children who are struggling so you can direct your help at those who need it the most. In many schools children are taught in Nepali, but you will be running your classes or sessions in English. In the ex-servicemen schools, you may be asked to help with other subjects in English too. You’ll be in demand so help wherever you can. Outside the classroom you are also encouraged to assist with sports. There are a few sports’ pitches – the hills are too steep to carve out many football grounds – but a game of volleyball or football is usually happening somehow, somewhere. Towns have pitches for use at weekends and you will be very popular if you arrange inter-school matches. Most children return home at the end of school but you will be popular if you introduce after school activities and clubs, helping with games or music at the end of the day. You will be looked after by the English teacher, but other members of the staff may also become your friends. They will enjoy playing cards in the staff room, a good chance to get to know them and learn Nepali. At weekends you can stay at home or travel further afield. You may take part in school activities, organising sports or going on picnics. Alternatively you can head into town to do some shopping, check emails, catch up on news from home, or meet up with other AVs, visit their schools and travel in the local area. A popular town to visit is Pokhara where you might also get up to see the sunrise on Annapurna – a spectacular sight. 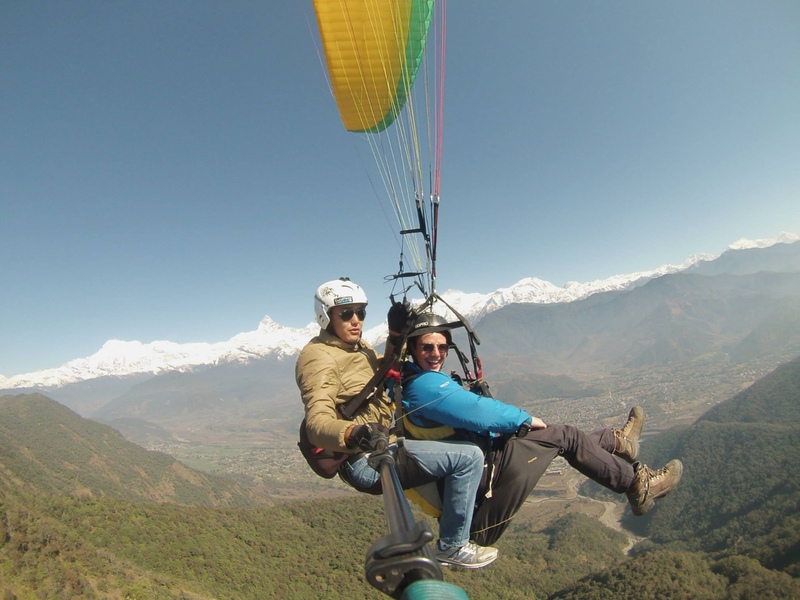 Many AVs also take up the chance to go paragliding here, getting a real ‘birds eye’ view of the incredible scene. You will live in a designated AV self catered house in two’s or three’s, within a community. An important part of the AV experience is living in local accommodation, shopping in the markets, being invited to people’s houses and making friends in the community. The landlord of the house will act as your host and you will get to know the family well. The house itself will have a bedroom(s), a (cold) shower and a toilet (Asian style), a cooking/communal area and somewhere to wash. Electricity can be intermittent so prepare for frequent power cuts! You will grow to love it and soon feel very much at home! We encourage independence and so you won’t have someone cooking and looking after you – it’s a chance to step up and take responsibility. You will be given a daily food allowance and will be expected to shop and cook for yourself. This is the best way of getting to know people, being involved in the community and gaining an understanding of living there – you are not a bystander watching from afar. Your landlord will always be on hand to help, and your AV representative is never far away to assist whenever needed. They can be contacted by phone 24/7 and will visit you during your project. As your gap year project comes to an end AV offers you the chance to stay on for an additional 4 weeks of independent travel time, to ensure a good balance of volunteer work and travel. Nepal is renowned for its spectacular trekking in the Himalayas but also has lots of exciting and beautiful places to explore, whilst India is right next door. From our experience travelling is often when problems occur, from lost passports to getting ill – that’s why we offer this extra travel time to ensure that you experience as much as possible but with the continued 24/7 support from us whilst you do so. Travel whenever you like, for as long as you like. Create your own customized trip, or join a scheduled group departure – the choice is yours. See our Group Program Dates & Costs for full details or contact us if you’re looking for something customized. From less than £30 per day (approx 40 USD). See our Group Program Dates & Costs for full details or contact us if you’re looking for something customized. With us, it’s about more than a whistle-stop tour of the sites. It’s about getting to know the people and their community. Fill in our short application form (approx. 1 minute) to reserve your place so you don’t miss out on an adventure of a lifetime. Travelling on into India, which offers some incredible variety from palm-fringed shores to hot or cold deserts and a history that stretches well beyond the earliest European civilizations. There is no shortage of things to do and see, our only rule is that you do not travel alone! “One of the most formative and memorable experiences of my life. My time in Nepal has most definitely shaped my life choices, and has played a big part in moulding the person I am today. “I improved my self-confidence and self-esteem and grew hugely as a person in just four months with AV. 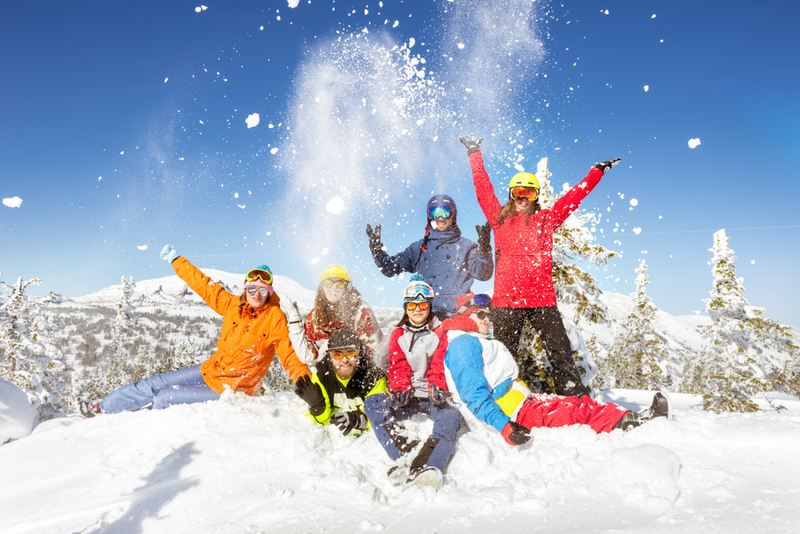 Ski season is ending, so what’s next on your Gap Year bucket list? If you would love to be part of the AV team and join us on a project, apply now to save your place.